2.61ct Tourmaline. An Emerald cut gem. Heavily included with a dark green hue. An Emerald cut Tourmaline weighing an impressive 2.61 carats. The gem is heavily included, causing the medium green colour to look slightly darker than it is. Dimensions are calibrated at 9.0 x 7.0 mm, which will give access to a wide choice of well priced settings. All my gems come with a small gift. It is just a little fun to go with your purchase. To make it interesting for those who want the challenge of identifying the gem themselves, the gem id is in a closed slip..
1.45ct Rubellite. X1 Rubellite. Rubellite Tourmaline. 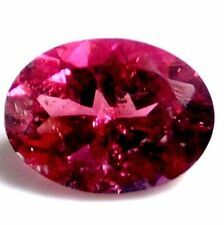 If Tourmaline is Vivid pink to red, often with a violet tinge, is known as Rubellite. It is one of the most valuable tourmaline colors, And when its color Is pure red and resembles that of fine ruby it is very rare indeed! 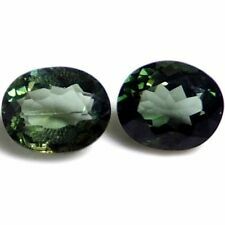 Oval Shape Dark Green Tourmaline. Loose Stone. Size mm: 14 x 11 mm. 4 mm Depth. 5.81 Carats 9.10x13.18x7.08 MM. Oval Faceted. Natural Gemstone. Not treated or enhanced in any way. Heavy Natural Flaws. 7.60 Carats. 10.75x13.37x7.98 MM. Oval Faceted. Natural Gemstone. Not treated or enhanced in any way. Heavy Natural Flaws. 1.59 Carats. 5.89x7.11x4.11 MM. Natural Gemstone. Not treated or enhanced in any way. Heavy Natural Inclusions. Not Eye Clean. 2.94 Carats. 8.48x9.67x4.96 MM. Oval Faceted. Natural Gemstone. Not treated or enhanced in any way. Heavy Natural Inclusions. 4.77 Carats. 9.30x11.79x5.28 MM. 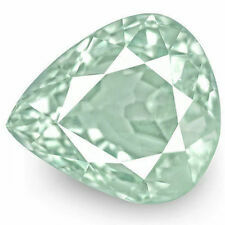 Oval Faceted. Natural Gemstone. Heavy Natural Flaws. 2.87 Carats. 8.59x10.33x5.16 MM. Oval Faceted. Natural Gemstone. Not treated or enhanced in any way. Heavy Natural Inclusions. 4.70 Carats Total Weight. 3 Pieces Faceted. Natural Gemstones. Not treated or enhanced in any way. Mostly heavy natural inclusions. Cats Cat's Eye 5.93x8.38x4.53 MM. Oval Cab Cabochon. 1.93 Carats. Natural Gemstone. Not treated or enhanced in any way. All eyes show up best under direct sunlight no clouds. Heavy Natural Inclusions. 3.99 Carats. 8.98x11.11x4.80 MM. Oval Faceted. Fine Bright Pink Color. Heavy Natural Inclusions. Natural Gemstone. Not treated or enhanced in any way. 4.06 Carats. 8.60x10.58x5.41 MM. 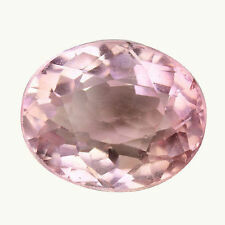 Oval Faceted. Heavy Natural Inclusions. Natural Gemstone. Not treated or enhanced in any way. Shape Oval. 3.58 Carats. 6.60x8.86x6.05 MM. Heavy Natural Flaws. Natural Gemstone. Not treated or enhanced in any way. 3.81 Carats. 6.85x10.37x5.22 MM. Natural Gemstone. Heavy Natural Inclusions. 5.42 Carats. 10.39x12.45x5.11 MM. Oval Faceted. Heavy Natural Inclusions. Natural Gemstone. Not treated or enhanced in any way. 1.77 Carats. 6.62x9.38x3.76 MM. Oval Faceted. Natural Gemstone. Not treated or enhanced in any way. Heavy Natural inclusions.